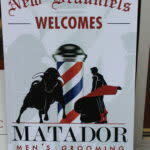 We want to welcome Matador Men’s Grooming to New Braunfels. 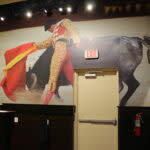 Your visit to Matador Men’s Grooming will include man-sized Barber chairs, a full-range of men’s grooming services, and a complimentary beverage. 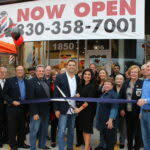 They cater to gentlemen who value quality grooming services in a relaxed, professional atmosphere. 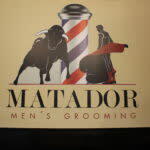 Call ahead for an appointment, or just walk-in to see for yourself why Matador Men’s Grooming is a premier barbershop. Each workstation is semi-private with four-foot high dividing walls between stations. Workstations are kept clean and organized and are designed around our clients and engineered to be efficient and user-friendly for the barbers and stylists. Once our client is seated in the oversized leather barber chair, he will never need to stand until all services are completed. 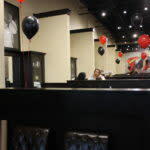 The sinks are located at each workstation and the barber chairs swivel and recline for shampooing, conditioning, and shaving. Whether our client is there for a haircut or shave, he will also relax with a shoulder, neck and scalp massage as well as a hot towel facial treatment during the shampoo service. 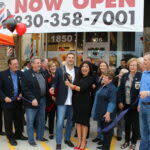 Upon leaving, our clients are thanked for visiting us as well as encouraged to schedule their next appointment.